Online Degrees | Doctorate | BSN to DNP | What is a DNP Degree? Whether you are just getting started in your nursing career or education, or simply haven’t heard much about advanced nursing degrees, it’s a reasonable question to ask: What is a DNP degree? No one could fault you for having questions since the Doctor of Nursing Practice degree, commonly abbreviated to DNP, hasn’t actually been around for very long at all. In fact, the first DNP program started in 1999. Since then, however, the popularity of DNP degrees has grown enormously, and they are now seen as essential preparation for many specialized advanced nursing roles and healthcare leadership positions. In the next few sections, learn more about what DNP degrees are all about — including why Bachelor of Science in Nursing (BSN) degree holders choose to pursue them in order to prepare themselves for careers in healthcare leadership. In the past, the only doctoral-level nursing degree available was a Ph.D. However, Ph.D. programs focus heavily on academic research, whereas direct-care nurses faced an entirely different set of challenges, including staffing shortages, high nurse-patient ratios, mandatory overtime and safety issues. Many felt that Ph.D. degree-holders were out of touch with the daily realities of direct-care nursing, and were therefore ill equipped to be leaders within the profession. In addition to the leadership gap within nursing, the scope of nursing work itself was also changing. Previously, those who wanted to become advanced practice nurses (APNs) would earn a master’s degree from a program that provided specialized clinical training in a specific area. Additionally, master’s programs nationwide were over filled with qualified applicants, and there was a major shortage of faculty to teach them. It also started to seem as if master’s programs were inadequate preparation to meet some of the nursing challenges of today. In recent years, our healthcare system has grown increasingly complex. As a result, the system is undergoing various changes. There is a demand for designing strategies to improve the delivery of safe, cost-effective care. A shortage of doctors has called for nurses to perform higher levels of care. Organizations are increasingly moving away from compartmentalized roles in favor of interdisciplinary teams. These teams are traditionally staffed by professionals who have the necessary breadth of knowledge to approach problems in creative ways and from multiple angles. In addition, efforts to streamline the healthcare system, improve efficiency and reduce costs produced a need for nursing leaders. These desired nurses should bring extensive clinical experience, the skills to effectively manage other nurses and clinical staff, plus the ability to oversee processes and strategize big-picture methods to improve patient care. All of these issues made it clear that nursing would have to change to meet the needs of a transforming healthcare system. Doctor of Nursing Practice (DNP) programs were created as a solution. DNP programs would provide students with specialized, clinically-focused advanced training; teach them to incorporate the latest research into their nursing practice; and instruct them in leadership and systemic organizational skills to effectively manage teams and oversee and improve healthcare operations. Case Western Reserve University in Cleveland created a precursor to the DNP program in 1979. It wasn’t until 1999 however, that the University of Tennessee Health Science Center started the first DNP program. Other universities soon followed. As of 2017, there were over 300 DNP programs around the country in all 50 states. 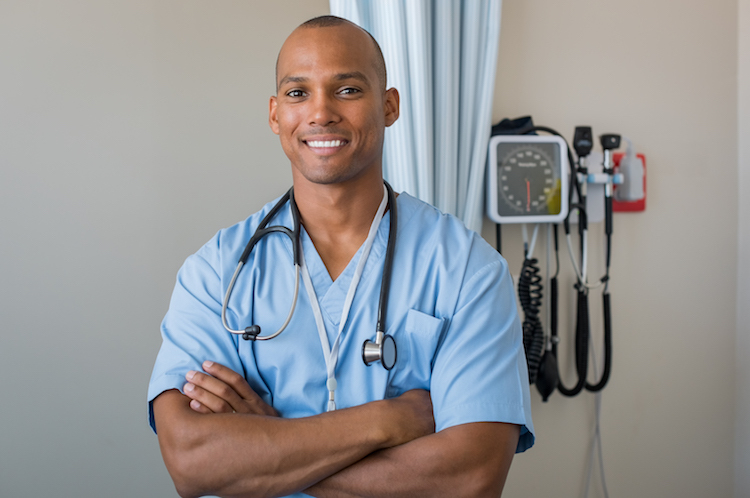 Why Pursue a BSN to DNP Program? BSN to DNP programs represent a great opportunity for individuals who are looking to take on leadership roles in the workplace. For those who enjoy energizing and motivating others, who have a knack for spotting inefficiencies and making things run more smoothly, or who want to have a larger impact on healthcare — a DNP degree may open a new level of leadership opportunities. Many see a BSN to DNP program as a stepping stone to the highest levels of nursing careers. Whether you seek greater professional autonomy, a higher salary or are driven to push your career growth, BSN to DNP programs may help you pursue advanced nursing positions that would be difficult or nearly impossible to access without a DNP degree. Many BSN to DNP students pursue areas of study that require advanced degrees. Specialized fields like Adult Gerontology Acute Care and Psychiatric Mental Health demand a greater depth of knowledge — and more credit hours — than a master’s program. This is one of the reasons DNP programs were created in the first place. Students who want to take on impactful roles in these specialized fields usually must have a DNP degree to do so. Those nurses who are interested in taking their careers to the next level with a DNP degree are fortunate to be experiencing a highly favorable employment climate. While nursing jobs of all kinds are on the rise, advanced nursing jobs are growing at even greater rates. Of course, the job outlook varies according to which specific career path a BSN to DNP graduate choose to follow, but many of the most popular DNP careers currently have strong outlooks. Many DNP graduates choose to pursue careers in academia to educate the next generation of nurses. The widespread shortage of nursing faculty has been a major crisis in the field, so DNP graduates who pursue teaching are filling a critical need. They can likely expect strong job prospects when they graduate: the BLS projects that college- and postgraduate-level nursing instructor positions will increase by 24 percent or 16,300 jobs, from 2016 to 2026. Patient advocacy is a relatively new field that experts predict will grow at high rates over the coming years. Patient advocates are responsible for guiding patients through the often complex and confusing healthcare system, helping them find the care they need in the most affordable way possible.Pointing to the increasing impact of this burgeoning profession is the fact that in New York and California, entire government offices are dedicated to patient advocacy. In addition to state government, patient advocates may work in hospitals, nonprofits, community agencies or independent practices. While the BLS doesn’t calculate specific data for patient advocacy jobs, experts predict that patient advocates will play an increasingly larger role in our healthcare system. In 2010, Kiplinger called patient advocacy one of its ‘13 careers for the next decade,’ and the profession is expected to only grow larger. Many DNP graduates choose to work in private practice within their area of specialization. It is becoming more and more common for nurse practitioners to operate their own practice, without a physician’s supervision. As of August 2017, 23 states grant full practice authority (FPA) to nurse practitioners, and that number will likely continue to grow. Whether DNPs choose to work as nurse practitioners alongside a physician, or independently on their own, they face excellent job prospects. The BLS projects that jobs for nurse practitioners will increase by 36 percent from 2016 to 2026, or by approximately 56,100 jobs. That’s a much faster rate than the 7 percent average predicted for all occupations. No matter what career path BSN to DNP graduates choose to follow, they will mostly be embarking on a leadership path, with the opportunity to make an impact on the future of healthcare by helping shape a rapidly evolving system. There are numerous ways to lead, depending on an individual’s particular strengths, values and interests. Each of these attributes is vital to the future of nursing and healthcare as a whole. DNP graduates usually acquire a breadth of knowledge and skills that makes them uniquely prepared to participate in healthcare policy-making. Their clinical experience, combined with their research expertise and leadership training, gives them a unique perspective and valuable insights into the best ways to improve patient care and organizational efficiency. If you want to make a difference by influencing healthcare policy, a DNP degree is excellent preparation. For DNP graduates who want to impact patients’ lives directly by providing more specialized or a greater level care, a nurse practitioner career reflects a rewarding way to do so. As our healthcare system evolves to rely more heavily on nurse practitioners, nurse practitioners should continue to see expanding patient care opportunities and greater autonomy. As mentioned previously, 23 states as of August 2017 now allow nurse practitioners to open their own clinics without a physician’s supervision. For DNPs who seek independence and a larger role in determining their patient’s care, working as a private practice nurse practitioner can make an impact on the front lines of healthcare. DNP graduates who want to improve healthcare by molding tomorrow’s nurses and healthcare leaders should find plenty of opportunities to do. By helping alleviate the shortage of nurse educators, DNP grads can make a difference not only in the lives of their students, but in nursing as a whole as they prepare students to fill much-needed nursing roles. The next generation of nursing educators is likely to play a huge role in determining whether our healthcare system can adapt to meet our changing population and world. If you have already earned your Bachelor of Nursing Science (BSN), Maryville’s online BSN to DNP program can prepare you to take on leadership roles that may allow you to have a greater impact on the lives of patients. And since there is a large demand for nursing leaders in our healthcare system now, there’s never been a more opportune moment to advance your degree. Now that you understand more about the BSN to DNP Program, consider taking on a leadership role in one of many possible advanced nursing careers.